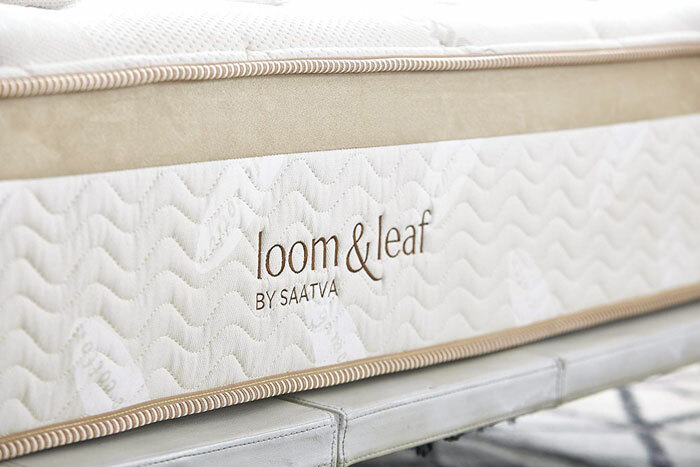 This Loom and Leaf mattress review focuses on the 100% foam mattress manufactured by Saatva. This company also markets the Saatva innerspring mattress featuring the ‘coil on coil’ construction. Its Loom and Leaf mattress is 100% foam, with two layers of memory foam supported by a base high-density polyurethane foam layer. 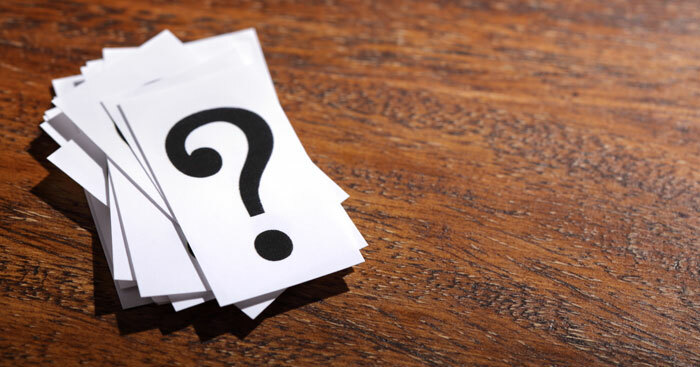 Before discussing the finer details of its construction, let’s first have a look at why Loom and Leaf mattress reviews are generally so positive and why the mattress itself provides great value for money. Quite simply, since 2010 the mattress has been available only online. Saatva has no physical mall stores to maintain and staff, leading to significantly lower overhead costs that are passed on to the consumer. Who Will Love the Loom and Leaf Mattress? Who May Not Like the Loom and Leaf Mattress? Let’s begin at the beginning, with shipping and delivery. Once you have ordered your Loom and Leaf mattress it is delivered free of further charges. The price you pay includes delivery. Not only that, but the carrier will take away your old mattress, saving you disposal or recycling charges. Delivery is ‘white glove’ meaning that your mattress will be set up ready for use in the room of your choice. The Saatva Loom and Leaf mattress is delivered flat – not rolled up in a box that has to be allowed to expand to its proper size. Once it is removed from its packaging, the mattress is ready for use. There is no off-gassing involved in its manufacture as is common with other brands of memory and poly foam. One of the benefits of this form of white glove delivery is that the mattress can be fitted with proper edge support – because it does not have to be rolled up. Thickness: The Saatva Loom and Leaf mattress is 12 inches thick. Mattress Cover: It comes with an organic cotton quilted cover. This is soft to lie on, and allows a good flow of air through it, helping to keep you cool during these hot summer nights. Top Foam Layer: The top layer of foam comprises 2 inches of 4 lb density gel memory foam. The gel absorbs heat, and the foam is convoluted (egg crate design) to help maximize airflow. The structure and materials used in this top layer of foam are designed to keep you cool and comfortable. Spinal Support Zone: The flat surface of the above top layer is divided into three parts, the central part of which is fitted with a Spine-Zone Gel laminate panel. This panel also assists with cooling, though its major function is support for your spine. Second Foam Layer: The next layer down is 2.5 inches of 5 lb density memory foam. Transition Layer: Beneath that is a 2-inch transition layer: this provides a transition from the memory foam comfort layers to the support layer of high density poly foam. Bottom Support Layer: The bottom layer is 5.5 inches of a high density polyurethane foam that supports your weight. The Saatva Loom and Leaf mattress comes with a 15 year warranty. If your mattress is found to be defective at any time within two years of your delivery date, it will be replaced with a new mattress at no cost. If the warranty is invoked more than two years after delivery, it will be completely repaired and recovered for a $99 transportation cost. Fairness Replacement Option: You can also take up the ‘Fairness Replacement Option.’ Under this option, you can keep your original mattress. Then, rather than the company repairing the mattress in years 3 to 5, it will be replaced with a new mattress at just 30% of the original price. Between years 6 to 10, it will be replaced at 50% of the price and from years 11 to 15, it will be replaced at just 75% of the original price you paid. Delivery is free if you take up the Fairness Replacement Option. You can use the original mattress or donate it to your favorite charity. There is a 1.5-inch limit to permanent body impressions. Also, if your mattress foundation is not of a platform or box spring construction, or a 5 or 6-leg metal frame for Queen and King size mattresses, then the warranty will be invalid. Queen and King size frames must also have a vertical center support. A 4-legged metal frame is OK for Full or Twin size beds. Adjustable bases are also acceptable. Sleep Trial: The Loom and Leaf sleep trial lasts for 120 days. If you want to return the mattress for any reason during the 120 days after purchase, you will receive a full refund. Please note that warranties and sleep trials are available only to the original purchaser of the mattress. There will be as small return transportation fee. You Prefer To Sleep Cool: The convoluted memory foam allows a good flow of air through the air channels in the foam. The gel infusion absorbs heat, unlike many other memory foam mattresses that can often sleep hot. You Sleep On Your Side: The memory foam used in the Loom and Leaf mattress absorbs the pressure of your body and provides genuine comfort for side sleepers. You Like To Sit On The Edge Of Your Bed: The Loom and Leaf mattress comes with good padding right to its edge. The white glove delivery allows this, which cannot be done with a mattress that comes rolled up. Because of this, you can sit and even sleep right up to the edge without it giving way. The edge support makes this a good mattress for couples. 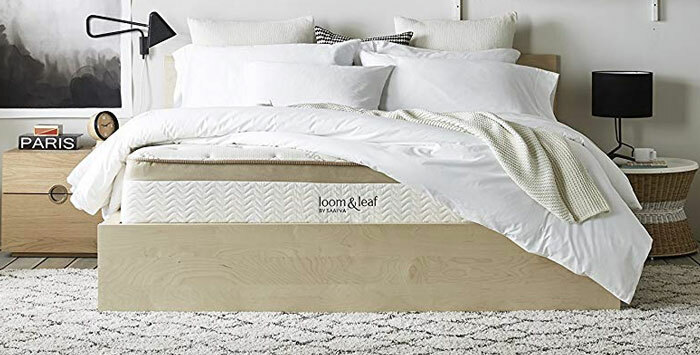 You Want A Good Warranty: The Loom and Leaf mattress comes with a good warranty and sleep trial period. You won’t be left with a bad mattress on your hands. You Want an Eco-Friendly Mattress: This mattress is CertiPUR-US certified to be free from dangerous or toxic foams. The Loom and Leaf mattress is certified free from ozone depleters, heavy metals, toxic flame retardants and other substances that can be hazardous to the health of you and your family. Saatva is an American company, and the Loom and Leaf mattress is made in the USA. The company is a member of the Sustainable Furnishings Council. You Are Not Keen on A 100% Foam Mattress: This is not an innerspring mattress and does not display the bounciness that young couples like in their mattresses. You Don’t Like Memory Foam: Many people are not keen on memory foam that tends to envelop them and make them feel as if they are held by their bed. You Are Heavy Weight, And Sleep on Your Back or Stomach: A memory foam mattress can often make you sink into it when you lie on your back or stomach. Loom and Leaf does offer a firmer mattress option that you may find more suited to your needs. Mattress Sizes: Twin (38″ x 75″), Twin XL (38″ x 80″), Full (54″ x 75″), Queen (60″ x 80″), King (76″ x 80″), Cal King (72″ x 84″). Firmness Options: The Relaxed Firm option is best for side sleepers with a good balance between support and comfort. The Firm option is best for back and stomach sleepers. Adjustable Base: The Loom and Leaf mattress works well with adjustable bases. Saatva’s own Lineal adjustable base works well with this mattress. The sinkage of a mattress is an important property to many people. Many people dislike the sinking feeling they may experience with a mattress that is too soft for them. The traditional way of measuring sinkage is to place steel medicine balls onto the mattress, and measuring the extent to which it sinks into the foam. We used steel medicine balls weighing 6 lb, 10 lb, 50 lb, and 100 lb. We placed them onto the surface of the mattress (gently placed – not dropped) and measured by how much each ball sank into it. Our results were 2 inches for each of the 6 lb and 10 lb steel balls. The 50 lb ball sank up to 5 inches, and the 100 lb ball created a 6.5 inch depression. The dimensions and size of the steel balls are intended to simulate the different body parts of the sleeper: the shoulders, elbows, knees, hips, buttocks, and so on. These results indicate that there will be a degree of sinkage into the mattress according to your regular sleeping position. This Loom and Leaf mattress review shows that the mattress is more suitable for side sleepers than stomach or back sleepers. These are the results of our standard Loom and Leaf review tests. We now finish off our Loom and Leaf reviews with some questions that people frequently ask, along with our answers. 1. I sleep on my stomach. Would the firm option be best for me or would the softer surface be best? Where you have a choice, stomach sleepers generally prefer the firmer option. If you feel yourself sinking into a mattress when lying face down, you can tend to panic slightly. A firmer sleeping surface will prevent your hips from dipping too much into the mattress, leading to the poor alignment of your spine that can be experienced on a softer surface. The relaxed firm option is best for side sleepers. It absorbs the pressure on your pressure points, and cradles the shape of your body far better than a firmer surface will. For that reason, back and stomach sleepers should select the firm option, and side sleepers the relaxed firm option. 2. What is off-gassing? Do Saatva Loom and Leaf mattresses off-gas? Off-gassing is the release of noxious fumes caused by the monomers used in the manufacture of the foams used in Saatva mattresses. Saatva foams are sourced in the USA. Very little off-gassing takes place in our foam suppliers’ manufacturing facilities. All foams must be stable when shipped to us and our manufacturing partners. 3. Are Loom and Leaf mattresses 100% organic? No – to be so would make the mattresses prohibitively expensive. The foams we use are made using a minimum of 30% corn or soy oil, making them eco-friendly. The flame retardant we use is a natural thistle, which is used to form a natural fire barrier that is free of harmful chemicals. We also wrap our mattresses in an organic cotton cover. 4. Are your mattresses flame retardant? Our mattresses are all flame retardant. As mentioned above, we use a natural, thistle barrier. This creates a flame retardant barrier without the use of harmful chemicals. We do not use chemical sprays on our mattresses. 5. Can I use an electric blanket with the Loom and Leaf mattress? Yes, you can use an electric blanket or heating pad with Loom and Leaf mattresses. Keep in mind, however, that memory foam softens with heat, and the mattress will react to the heat of the blanket or pad. If you place a heated blanket or pad directly onto the mattress, it will react to their heat and not necessarily to the heat and pressure of your body. It may not then contour to your body, and might even damage the mattress. 6. Can your mattresses be used with motorized adjustable bases? Yes, they can. Our Loom and Leaf mattresses are compatible with all adjustable bed frames. 7. Do you offer split foundations for the Queen and King Size beds? Yes. They are ideal for narrow staircases. If you need a split foundation to enable it to be transported up a narrow staircase, let us know – it comes with an extra charge of $35. 8. Will your delivery people set up my bed including the metal frame? Yes – the free delivery includes set up of everything. We leave your home with your mattress and foundation all set to go. 9. Do I have to use your foundation or can I use my existing box spring unit? We strongly recommend that you purchase our foundation/frame along with the mattress. However, if you prefer to use an existing box spring or foundation that is in good condition, then it should work fine. The foundation must be in good condition and show no sagging, or it may invalidate your warranty. Assuming we agree that your own foundation/frame can be used, then your warranty will remain in place. 10. Will you take away my old mattress? Yes – if you want our delivery team to take away your old mattress and dispose of it for you, then we will. There is no charge for this service. If you look at our ‘Shop Now’ page, you should see a “Mattress Removal” checkbox – check that and we will remove your old mattress free of charge. 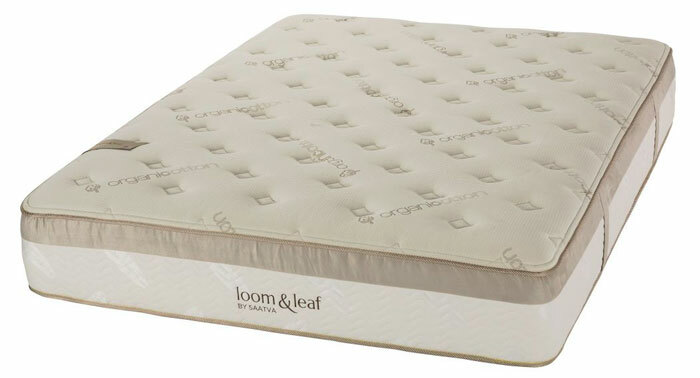 This Loom and Leaf review relates to the 100% foam mattress manufactured by Saatva. This mattress is a foam alternative to Saatva’s flagship innerspring mattress. It is a high quality hand-crafted memory foam mattress available in two firmness levels: Relaxed Firm and Firm. Saatva manufactures and markets two high quality eco-friendly mattress types, each suitable for use as an orthopedic mattress.